#CultureTalkCA is an ongoing discussion-based community building event series designed to create constructive & engaging conversation, the same kinds you would have with a close friend or small group, only larger. 5-7 discussion leaders are featured, and we focus on more discussing than lecturing (atypical of a standard panel events). 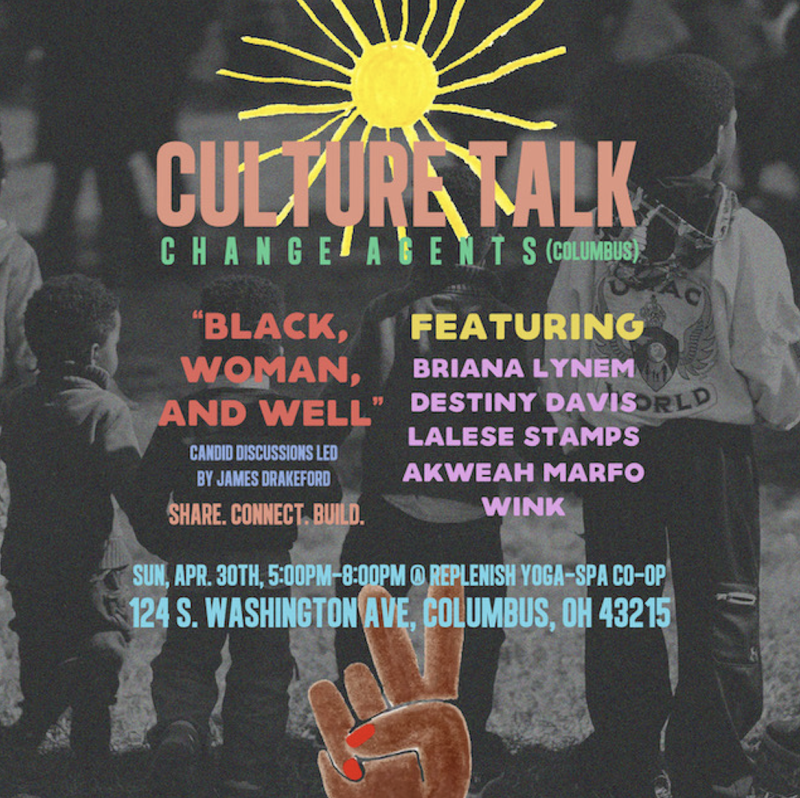 The purpose of these talks is to share ideas, see how we connect with each other, build/network, and present ways to move forward as people. The conversation at Culture Talk is meant to be very candid and honest. No politics involved, no agendas, just current topics and real conversations. Discussion topics range from current events, education, entertainment, business, lifetysle, and more as they relate to the Black American experience. It is our hope that each attendee will leave with strengthened, broadened, and better directed perspectives. The attendees are what make Culture Talk: Change Agents a special event. Not very often do we find ourselves in a room filled with leaders and change agents that have a genuine interest in strengthening our communities. The crowds are fairly diverse, from business owners to activists, from artists to students, and beyond. Every person counts.